Uninstalling the program will remove all the program files on the server StaffMap was installed on. This includes all project files, media files within projects (like images), and configuration files validating your installation (if you reinstall, you will need your original activation key). Before continuing, please back up your StaffMap projects. 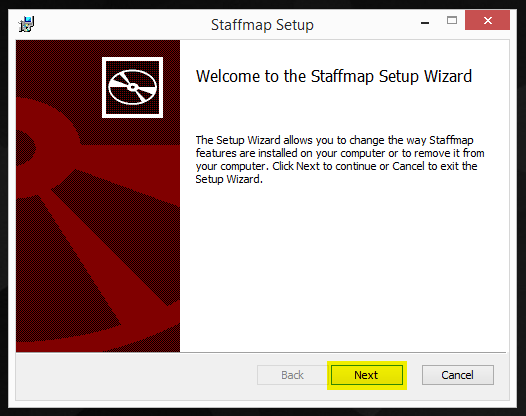 Run the Setup Wizard (StaffMap2.msi). 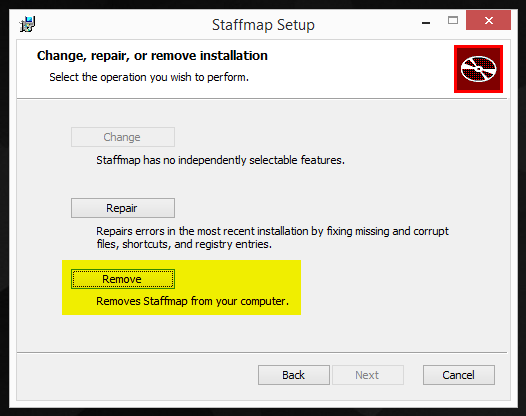 Go to the Control Panel > Uninstall Programs, then select StaffMap and select the Uninstall Button or right-click and select Uninstall from the drop-down menu. When the Setup Wizard runs, select Next on the first screen. In the resulting menu, select the Remove button. 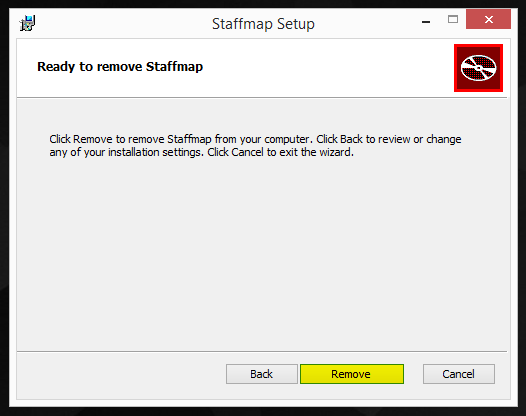 Then confirm that you would like to uninstall StaffMap from your computer by selecting the Remove button again. 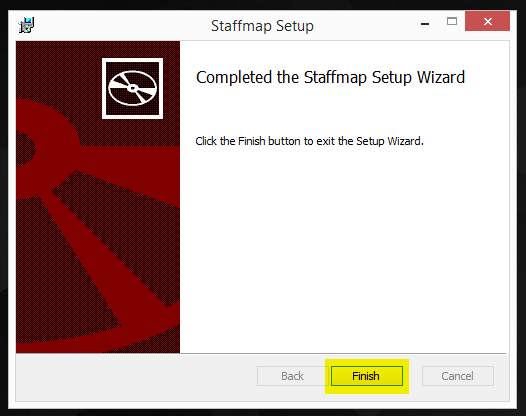 After the Setup Wizard is finished removing StaffMap from the computer you will be asked to finish the uninstallation.